For advent this year on The SEN Resources Blog, we are trying out and sharing a Children’s Christmas Activity every day! So far we’ve learn about or Elf on the Shelf (see our handy list of Elf on The Shelf Ideas here), we’ve made pictures using lollipop Sticks, painted Christmas silhouettes using masking tape and made Dairy Free Christmas Tree Cake Pops (yum!). See all our ideas here and feel free to follow our blog by email or over on Facebook and Twitter for tomorrow’s activities! 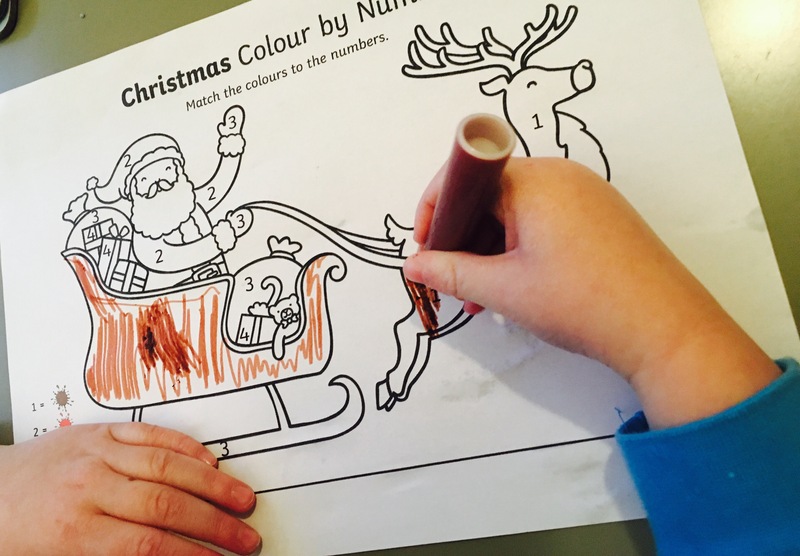 Today we’ve been Colouring by Numbers using these fabulous Christmas printouts by Twinkl. That can be found here. 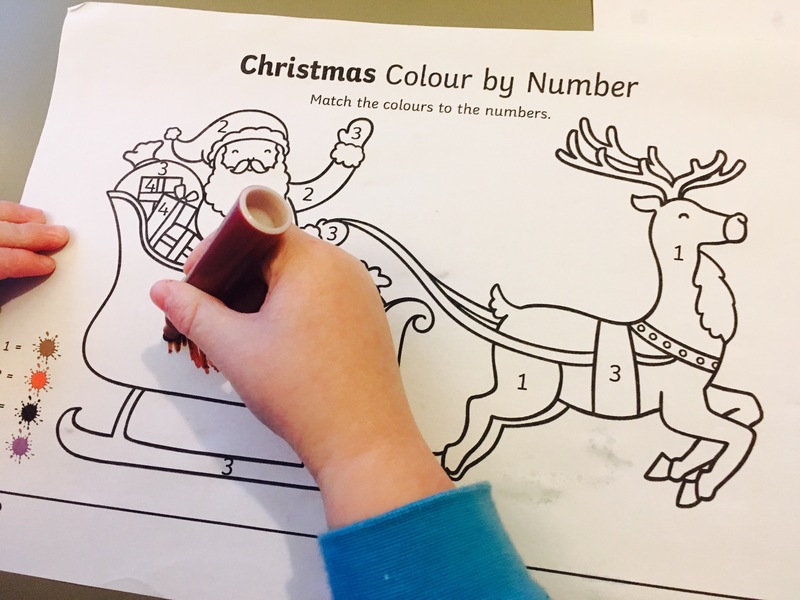 Designed for Younger Children– I love the idea of Colour by Numbers but often they are a bit too tricky for younger children, so I was delighted to see one aimed at them. It’s ideal as only uses a handful of numbers and colours. 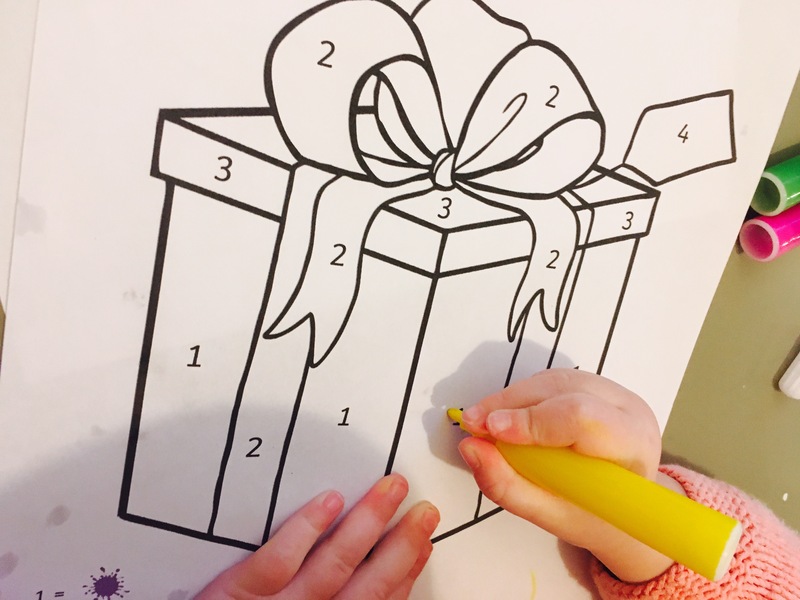 Helps Develop Number Recognition Skills– Colour by Numbers are fantastic for helping children develop their ability to recognise numbers- in a fun way. There’s a huge incentive for them to ‘get it right’ as it will mean they choose the correct colour and the picture will look like the real thing! Develops Colouring Ability– Colouring can be hard work for little ones and tiring for their hands. But it can really help develop their hand strength, stamina and fine motor skills that are so important for learning to write. By having small areas to colour in, it helps break the task up into more manageable chunks for children who are less keen to colour in. I’ve used Twinkl resources before and they are great.